In Cairo, it’s been almost too hot to cook lately, and a busy schedule and hot weather have encouraged me to take advantage of Cairo’s status as the delivery capital of the world quite a lot more than usual lately. I’ve also been busy tying up loose ends in preparation for a trip to Morocco next week (watch my Twitter feed and my Tumblr for the photos and flavors I’ll document while there). In lieu of new recipes, which will return when I get back to Cairo in July, I’m dusting off a few old items that my readers might find interesting: the first is a recipe for a Thai-style curry made with lemongrass and coconut milk, which I recently revisited, revisited, and rephotographed. You can see the updated post here. 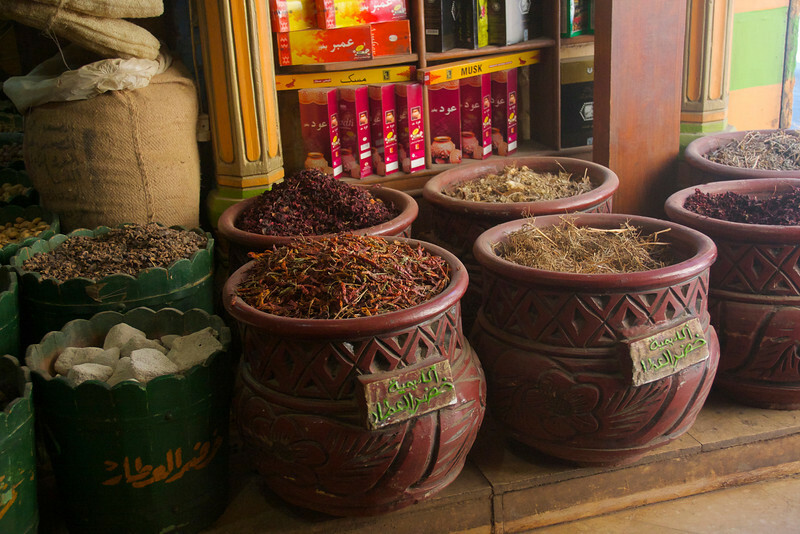 The other is an essay I wrote for Muftah.org back in April, summarizing some of my findings about attarin, the “traditional” herbalists found all over the Arab world but who are especially prominent here in Cairo. My interest in the institution started because it’s such an interesting intersection of food, medicine, and beauty practices – three of my favorite things – and seems, to me, to be a key part of understanding food in the Middle East as well as for figuring out how to understand foodways as part of much broader historical yet living traditions. …For answers to these questions, I turned to the space of the attar, the still-present “traditional” or herbal pharmacist whose existence hints at the roots of this connection not only in history, but also in space, embedded within an urban fabric that simultaneously includes to this day both attarin and pharmacists.” Keep reading.